Often, smaller companies struggle to compete in competitive markets where megabrands dominate. When cost per clicks are sky high in Google Ads and competition is tough, it can be hard to elbow your way in. But while it may be difficult, that doesn’t mean it’s impossible. Sometimes, you just have to approach things more creatively. In this article, I’ll share with you some of the strategies we’re seeing smaller companies use to get a leg up in markets that are dominated by larger players. Why Do People Click on Paid Search Ads? At the heart of every paid search campaign lies the eternal question: Why do people click (or not click) on your paid search ads? Is it because they recognize the brand that’s advertised? Is it because the ad includes the information they’re seeking? Or is it simply that the ad is at the right place at the right time? Figuring out why people click (or don’t click) has become increasingly difficult as ads become more complex. After all, it wasn’t many years ago that text ads had one headline and a simple two line description. Today, we have multiple headlines and descriptions available to us—not to mention a dozen extensions to mix and match. One of the most common complaints I hear about the Google Display Network (GDN) is that it’s a money hog. And that can be true at times! But then, the same can be said of any other ad network — if not approached carefully. So there’s no need to avoid the GDN out of an abundance of caution. But you should keep on top of account settings that can rack up your budget spend if you aren’t careful. Which settings do you need to pay careful attention to? In this article, I’ll highlight four settings that you should keep a close eye on to keep your GDN ad spend in check. 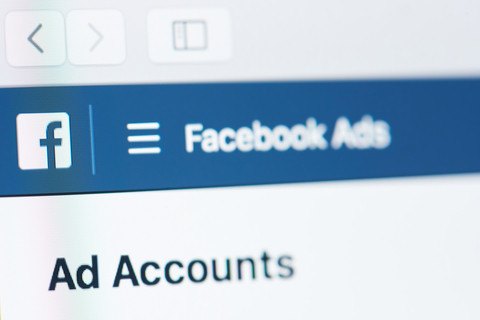 Facebook Advertising vs. Google Advertising: Which is Better? Many of our clients ask us about Facebook advertising. Mostly, they want to know which is the better platform for advertising, Google Ads or Facebook Ads. Whatever the reason, it’s a hot topic of discussion. As you probably know, at Group Twenty Seven we specialize in paid search advertising. We don’t offer advertising management services for Facebook. However, that doesn’t mean we automatically disparage Facebook as an advertising platform. In fact, if your advertising agency tries to tell you that paid search advertising is always better than Facebook advertising (or vice versa), then you should find yourself a new agency. PPC landing pages are something that many businesses struggle with. While landing pages seem simple enough in theory, they often become less-than-ideal in practice. One reason for this disconnect between intention and practice is that many different departments can get involved in landing page development — each with its own agenda. Maybe product development wants to use the landing page to promote its cool new device. Customer service wants to use the landing page to show off its beefy warranty plan. IT wants to use its usual web template. And legal wants to make sure that the company’s policies are front and center.